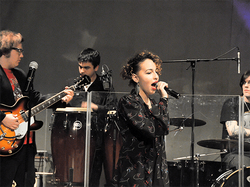 Planet drum is London's top drum school, as well as Trinity College London's largest Rock & Pop exam centre. 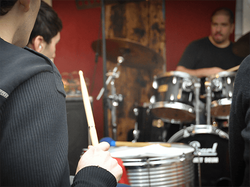 Building on our success in drum tuition, we opened our piano, guitar, bass, singing, trumpet and saxophone departments in 2014, enlisting some of the very best London music tutors and players in the process. Since we opened in 1996, we have hosted and sponsored concerts and educational events for many music venues including the South Bank Centre, the Roundhouse, Earl's Court, the Royal Albert hall and Somerset house, and for media companies including the BBC, Sky and ITV. 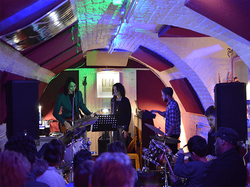 At Planet drum you’ll be taught by a professional musician in a vibrant and creative environment. In your first session, you’ll discuss what you want to achieve by the end of the course, so both you and your tutor can work towards your personal goals. You’ll find the main school in the crypt of St. Mary Magdalene Church in Highbury & Islington, North London. We are open 10am to 10pm Monday to Friday, 10am to 6pm on Saturdays, and 12pm to 6pm on Sundays. I have been taking lessons at Planet drum for four years, and having worked with all their teachers I can say that they are all top class. Their structured and fun approach has really worked for me and thanks to them I am now an infinitely better player than I ever was. Highly recommended!